Heading to fashion week next month and it got me inspired to edge up some of my basic garments to wear in the city. 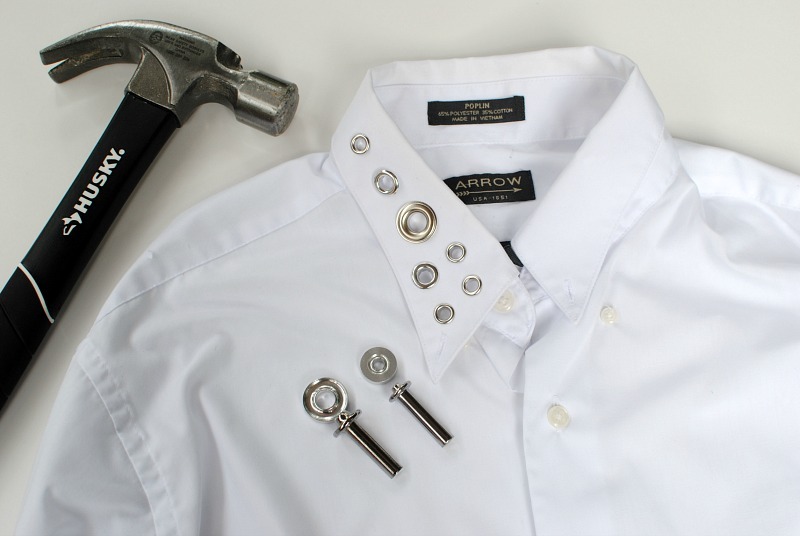 I love a classic white shirt with a little hardware added to it and Dritz eyelets are perfect. 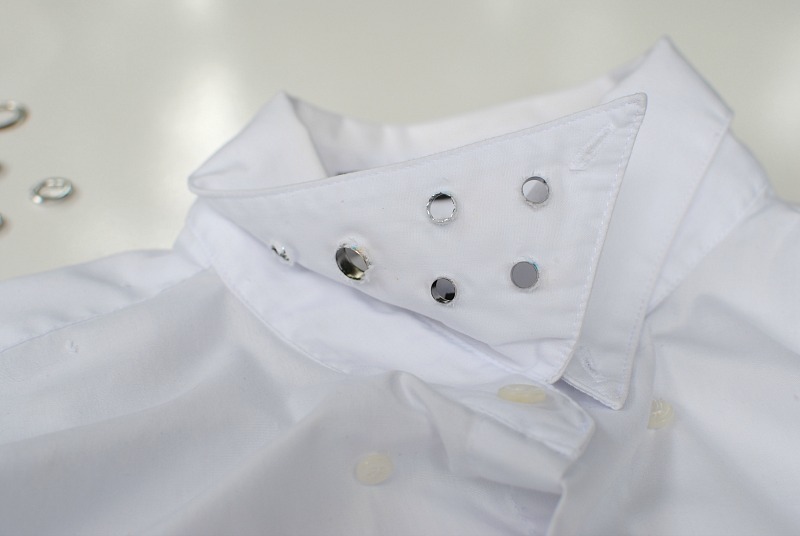 Eyelets can be used for fasteners and lace ups but they're also great as decorative embellishments. I chose to add various sizes on the collar because the crisp weight wouldn't be weighed down by the eyelets. I also like that I can add a sweater over it and still have the collar out. Place the eyelets out where you'd like them be. I did a variety of different sizes and didn't have a particular order just wanted it to look visually appealing. 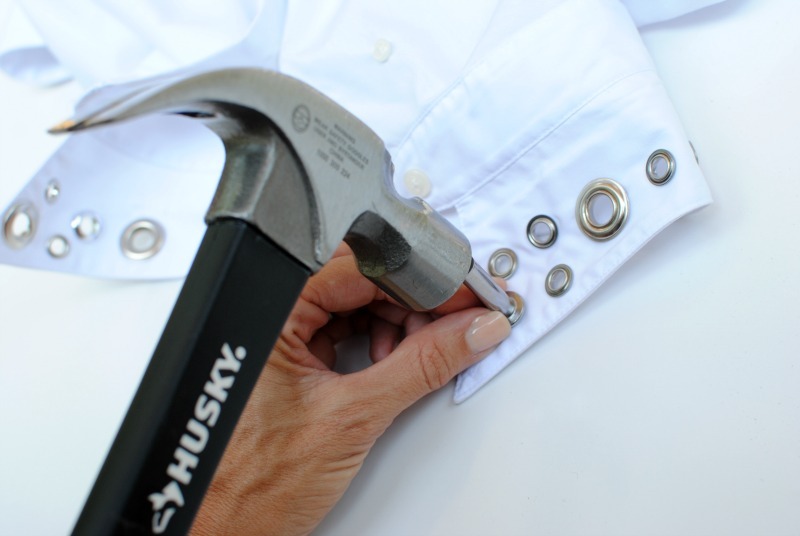 Trace the interior opening of the eyelet with a fabric marking tool. 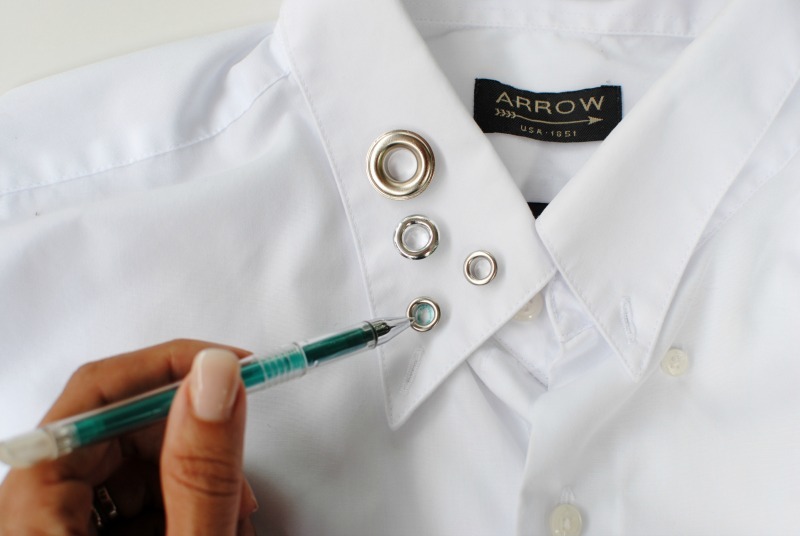 Place the insert over the back side of the eyelet. Place washer dome side up over insert. 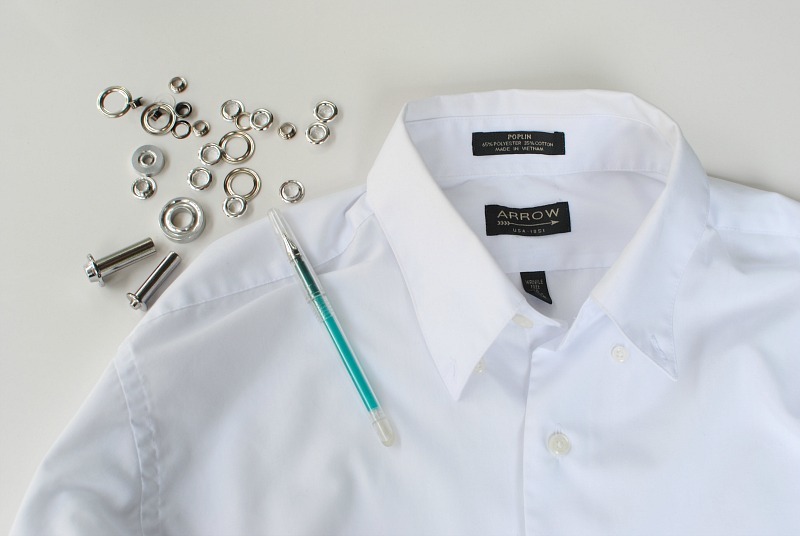 Use the proper 2-Part Eyelet Tools size for the eyelet. Position eyelet front on anvil. Insert setter into eyelet and hammer gently. Usually 2-3 hits will do. The key is making sure you're on a firm, hard surface (think concrete hard!). I legit do this on the driveway. Repeat for the other side or wrap around to the back! I would have missed the useful information if I didn't find your site.So keep on sharing hope to see more from you. Thank you so much for sharing this post.The information shared in this post was really useful and valid.I can use all these information as source for preparing articles for best essay writing service.And it also gives us information about various things which could be used in our future also. 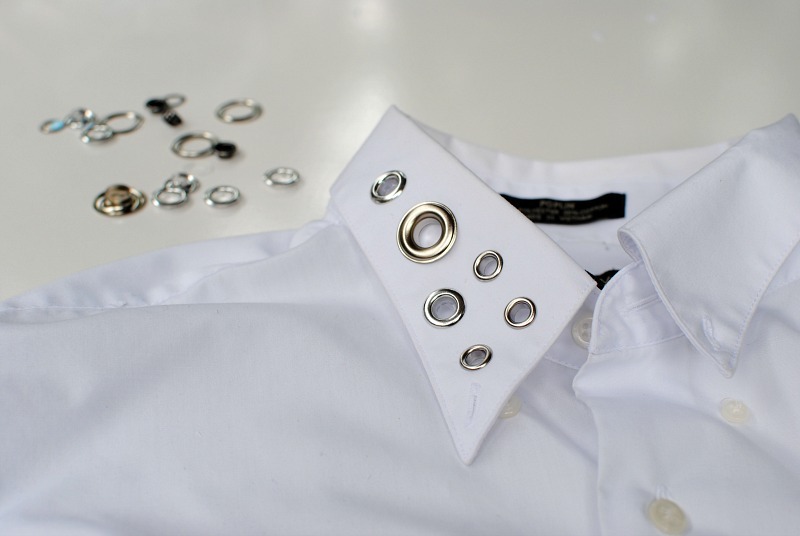 wondrful post, shirt collar is awesome. Very interesting post. It was really a great post and was very interesting to read. I would like you to recommend prima group where you can get the best sportswear products at reasonable rate.